You never know what you'll find in the Yesteryear Shed. 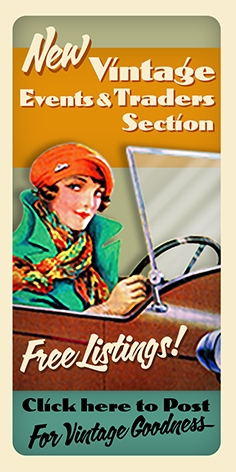 Hidden gems like original framed advertisements, long forgotten magazines, automobilia and collectibles to cover every taste. We even have our own range of greetings cards based on vintage advertisements. Find us at various events throughout the year or buy via our online store.